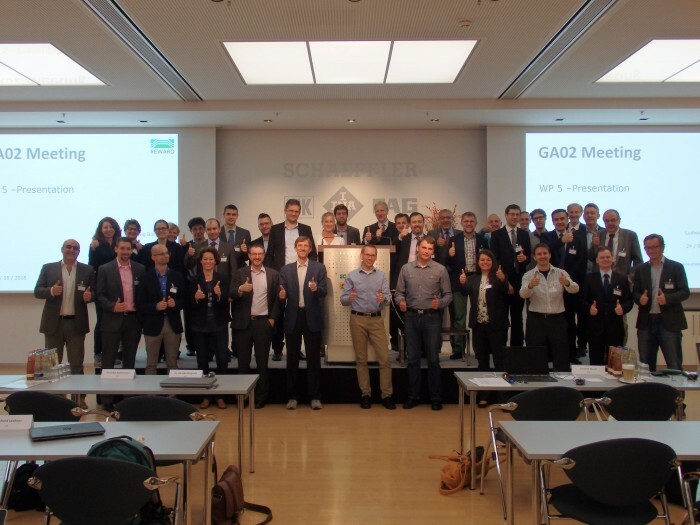 The second General Assembly Meeting of the REWARD project took place at the Schaeffler premises in Herzogenaurach. The Schaeffler conference center provided an inspiring environment for many fruitfull dicussions. The partners were glad to have the opportunity for face-to-face interactions. Ample time was reserved for interactions and discussions between the different work packages, which was highly appreciated by the attendees. A total of 42 participants took part in the meeting. The project coordination team and work package leaders presented the progress of the project in the first year. Many of the partners contributed with presentations on their activities and results.